To reserve a date and make arrangements for marriage, you must call and schedule an appointment with one of the priests at least six months to a year in advance. This should be done at the same time you make other arrangements (e.g. your reception). Attendance at a marriage preparation program is required. Weddings are a special time for the bride and groom, families and friends, as well as for the parish community. The Church welcomes its members to celebrate and solemnize their marriage in the context of Christian prayer. Great care is taken to see that the prayer for this special occasion is reverent, graceful, beautiful, and open to the movement of the Spirit among us. All Sacraments are always rooted in listening to Scripture so that we can be nourished and strengthened by God’s Word. We celebrate as a community with song, prayerful gestures, and silence. While we know there are many preparations taking place for this special day, do not forget the spiritual side since this is a sacred undertaking. Your participation in the Eucharist in the weeks and months before the wedding is a tremendous way to prepare yourselves. Likewise, the reception of the Sacrament of Reconciliation is an important part of your preparation. By custom, the parish of the bride is the place a couple would get married, but you are free to marry in the parish of the groom, if you so choose. Inter-faith marriages usually take place in the Catholic party’s parish. It is possible for the marriage to take place in the other party’s community. It is required that couples go through the Marriage Preparation Program at Our Lady of Victory and some type of seminar (such as the Engaged Encounter Weekend, Pre-Cana, or God’s Plan for a Joy-Filled Marriage by Ruah Woods). Details of this will be explained by the priest/deacon who is preparing you for marriage. FOCCUS, a pre-marital inventory, will be administered by a married couple who are part of the parish Marriage Ministry Program. Other items required are the Ohio marriage license and a baptismal certificate issued within six months of your wedding. 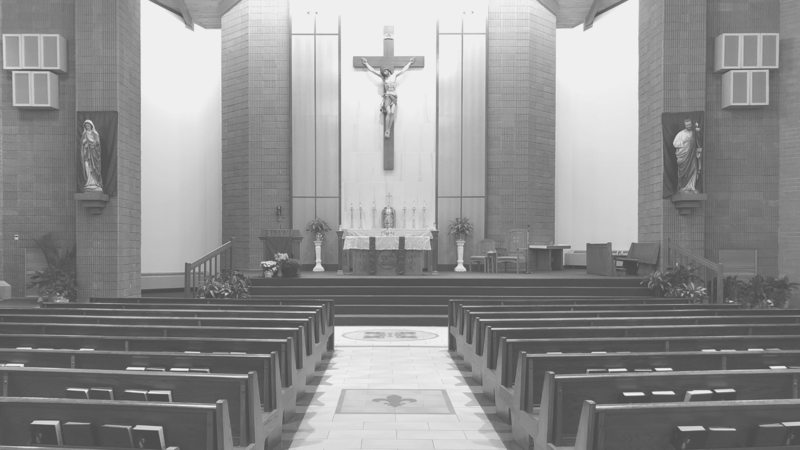 The parish needs a minimum of six months to prepare for an upcoming wedding. Please solidify plans with the parish before reserving other aspects of the wedding (reception, florist, photographer, etc.) Due to regularly scheduled weekend liturgies, there are limited hours when nuptial Masses can be scheduled. Weddings on Saturdays may only be scheduled between 11am and 1:30pm or 6:30pm or later, to accommodate the regular 4:30pm Mass schedule. If the bride, groom, or parents are a participating member of the parish the fee for the church is $300. A stipend is recommended for wedding servers at a minimum of $20 (2 servers at $10 each). Usually a priest or deacon from the parish will witness your wedding. Another priest or deacon who is a relative or friend of the bride or groom is welcome to witness the wedding if they desire. The person who witnesses your wedding will take care of the necessary preparations. A Christian marriage is an act of worship in which the couple, along with their families and friends, come together to offer thanks and praise and to ask God’s blessing on their life together. It is a communal celebration in which the guests are not merely “spectators”, but active participants. As participants, all present are highly encouraged to express their support, joy, and faith through prayers, acclamations, and songs. The following guidelines, therefore, have been developed to ensure that the music for weddings at Our Lady of Victory supports the communal and liturgical aspects of the celebration in accordance with the recommendations established by the Archdiocesan Office of Worship. Since music during the wedding liturgy ought to express not only the faith of the couple but also the common faith of the whole Church, all music before and during the wedding liturgy must be sacred (liturgical) in nature. Secular or non-religious songs are not appropriate at any time before or during the liturgy. You will be provided with a pamphlet containing appropriate selections once contact with the Director of Music has been made. Music selected for the liturgy should enhance the movement of the celebration rather than unduly delay its progress. Hymns or songs chosen should express thoughts or emotions which relate to the action of the liturgy at the time sung. Since the wedding liturgy calls for active participation, there are certain parts of the liturgy which are to be sung by all present. No pre-recorded music may be played before or during the liturgy. Couples will be invited to plan their Marriage Ritual with the priest/deacon who will witness the wedding. A Catholic couple is usually married within the celebration of the Eucharist. Present Catholic Church Law does not provide for the celebration of the Eucharist when the marriage is between a Catholic and a non-baptized person. Ministers, Rabbis and other religious leaders are welcome to participate in an inter-faith wedding ceremony. You will be invited to choose friends/relatives to proclaim the Scriptures, (Old Testament, New Testament), and Prayers of the Faithful. Those selected should be familiar with and comfortable reading in public. The priest/deacon will help you choose Eucharistic Ministers. Other family or friends may present the bread and wine at the Preparation of Gifts. The time for this is arranged with the priest/deacon witnessing the wedding. Sometimes the rehearsal needs to be coordinated with other parish events. TRY TO IMPRESS UPON THE MEMBERS OF THE WEDDING PARTY THE IMPORTANCE OF BEING ON TIME. Unfortunately, experience dictates that we mention that NO alcoholic drinks be brought to the Church or Church grounds for the wedding or the rehearsal. Drinking anywhere prior to the ceremony is not appropriate. This could be very disruptive to the spirit of the ceremony and we ask that you communicate this to all the wedding party. We also remind you that the Church is a “no smoking facility”. The parish can assist in providing 2 servers for the nuptial Mass on an as-needed basis. The bride and groom are responsible for providing a stipend for all servers. The Cry Room is available for the use of the bride and her party. Curtains are in place for privacy from the main church. The groom and groomsmen typically gather in the sacristy before the ceremony begins. The center aisle is 56 feet long. There are 18 pew ends on either side of the center aisle. Flowers are used to create a festive atmosphere and to honor the Lord. Because OLV is rather simple architecturally, a few flowers stand out to a great advantage. No flowers are permitted on the altar-table or in front of the altar and ambo. They may be placed on pedestals behind the altar or on the altar steps near the railings. Generally, these flowers are left for the weekend celebrations. Also, it may be wise to check what decorations are already in the Church. Sometimes additional flowers only clutter what is already there. We ask that no candelabras be placed in the sanctuary since the air conditioning tends to extinguish them and cause them to drip on the carpet. Photographs may be taken during the wedding. When the ceremony begins, we ask that the photographer use good judgment and remain OUTSIDE the sanctuary at all times. Additional pictures may be taken after the ceremony as long as time allows. Please keep in mind the sacredness of the space. Videotape equipment may be used. However, we ask that once it is in place, it remain there throughout the ceremony. Please ask photographer or videographer to consult with the celebrant before the ceremony. It is also recommended that you have one or more persons responsible after the wedding to pick up things left around. Pew markers, aisle cloths, ribbons, and programs need to be gathered up after the ceremony as we have no custodial help on the weekends. Hymnals also need to be placed in the racks. Rice, confetti, bird seed, flower petals etc., are not permitted. 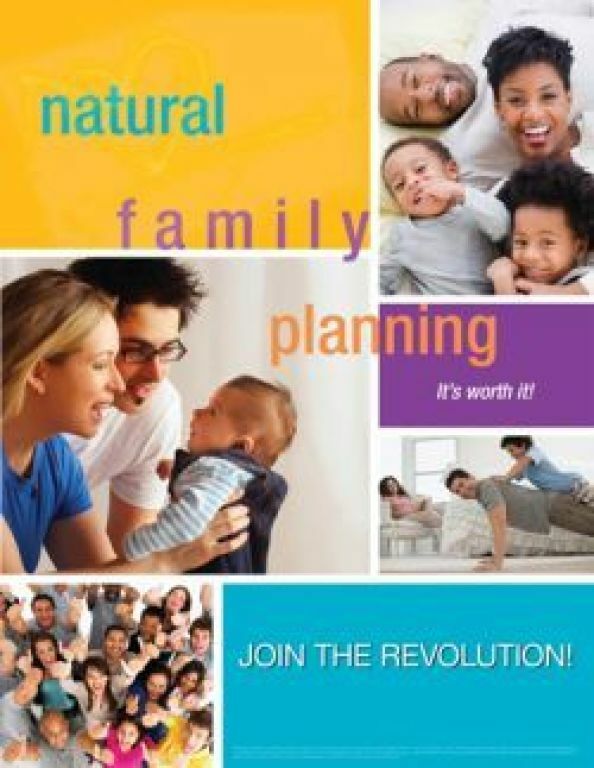 Please click on the picture below to learn more about Natural Family Planning methods and Church teachings which support their use in marriage.